Sakubei Yamamoto depicted his experiences and memories of the coal mines in a collection of paintings and other records, which have been included in the Memory of the World collection. Yamamoto's coal mine paintings illustrate his experience of life in the yama (a slang term used by miners to refer to the coal mine – it literally means "mountain" in Japanese) along with the accompanying folk beliefs and superstitions. We are pleased to present 585 works by Yamamoto from among the coal mine records included in the Memory of the World collection. 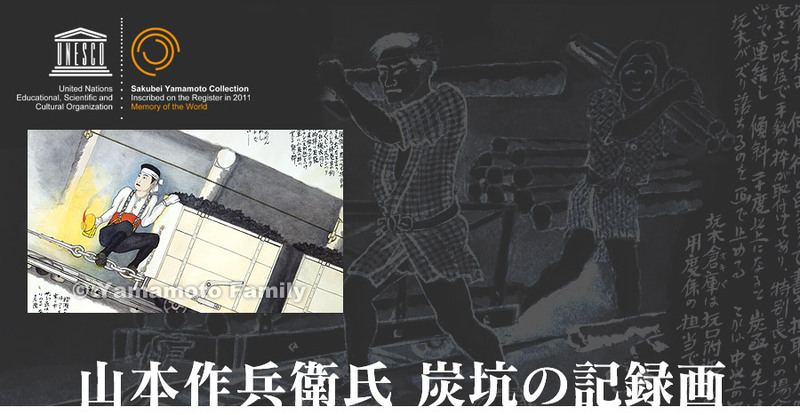 These works are currently in the possession of the Tagawa City Coal Mining Historical Museum. The Tagawa City Coal Mining Historical Museum is home to the Memory of the World coal mine records. Information concerning the Memory of the World program.